Charlotte Harbor fishing is like stepping back in time. Its miles of mangrove shorelines, shallow grass flats, sand and oyster bars are home to snook, trout, redfish, tarpon and more. You will marvel in the wildlife that is abundant there- white pelicans, herons, egrets, ospreys, dolphins and manatees call this unspoiled area home. 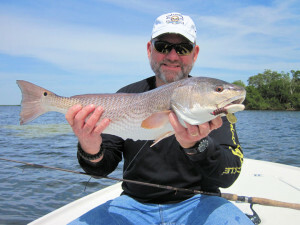 Pat Redmond, from Sarasota, FL, fished the backcountry of Gasparilla Sound near Boca Grande with Capt. Rick Grassett where he caught and released this over slot red on a CAL jig with a grub. Rich in angling history and lore, these pristine waters are the best Florida has to offer the saltwater angler looking for a pure shallow water fishing experience. For sight fishing, the opportunities are boundless. Gamefish slip through the clear water, rich with the abundance of forage and crustaceans that inhabit every corner of the expansive estuary. Fed by the ebb and flow of millions of gallons of water passing each day through Boca Grande Pass and the myriad smaller passes that open into the Gulf of Mexico, Charlotte Harbor is nature at balance. It’s no wonder it provides some of the finest fishing in the state, and some might argue of Charlotte Harbor fishing, the world. With its bounty of food, the Harbor and it’s passes are the summer home of thousands of giant tarpon. An annual phenomenon that goes back as far as anyone can recall, the area is covered with silver kings between late April and July and few places on earth offer the genuine opportunities for hooking and landing the trophy of a lifetime. 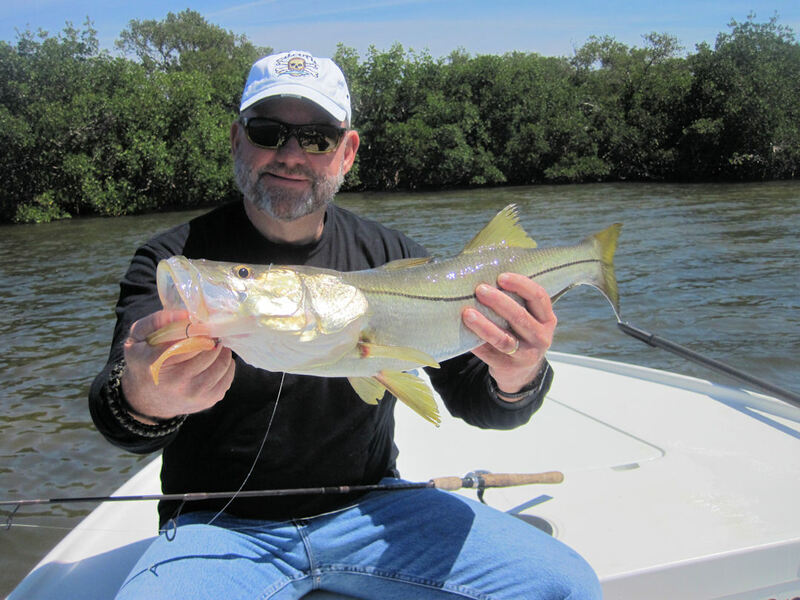 The harbor’s snook fishing can be fantastic at times and when the redfish are schooling anglers can enjoy some of the most rewarding fishing available anywhere. Trout, cobia and pompano are among the other fish on the Charlotte Harbor hit parade. 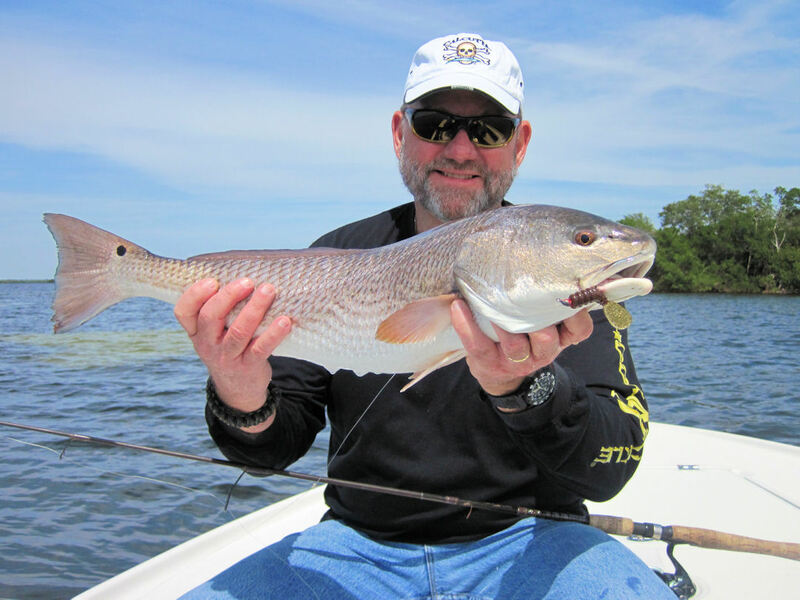 Pat Redmond, from Sarasota, FL, fished the backcountry of Gasparilla Sound near Boca Grande with Capt. Rick Grassett where he caught and released a 27″ snook on a CAL jig with a shad tail to complete his slam. Since Charlotte Harbor fishing situations are mostly very shallow, it is accessible only by shallow draft flats boats. Wading the flats and sight fishing is also a good option. If you are a fly angler, there are few waters that can compare and many opportunities for hooking up with multiple species can emerge over the course of a full day trip. The harbor is about 40 miles from Sarasota, so we trailer to these areas and launch close to the waters that we will fish. Due to the distance, these are full-day trips only. *Price is for one or two anglers and includes lunch and transportation to fishing area. Travel time (2-hrs) not included as trip time, you will get a full 6 or 8-hrs on the water.